When you have your health, you have 1,000 dreams, and when you don’t, you have only one. This weekend, my family said goodbye to a beautiful human being who spent the last 6 months of his life physically suffering from a tragic accident. Despite his many physical setbacks, his faith and positive attitude held strong and inspired us all. I work in the health care industry and can honestly say I’ve never met anyone with a complete C3 spinal cord injury and a positive attitude from the start. Now he is set free from his ailing body. He is no longer suffering. But his friends and family surely are. Today, I am deeply reminded of how important our health (physical, mental, emotional, and spiritual) really is and how important it is to seek out help when you need it most. It is so easy to get caught up in the moment and let things go. When you are busy and stressed, you feel like you don’t have it in you to make healthier choices. When you are happy and celebrating, you feel like you “deserve” to cheat. Choosing unhealthy is always easier. When you make that unhealthy choice, you feel excited and liberated in the moment. But how long does that moment last? Later on, do you feel tired, bloated, or sluggish? Do you feel shame and regret? And how long does that last? 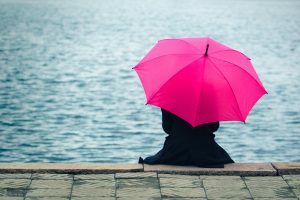 Those feelings of shame and regret only further stress our bodies, making us even more susceptible to illness or disease. It’s a vicious cycle. You are a health conscious person. You know your lifestyle choices greatly impact your overall health, wellbeing, and risk for disease. So you read up on all the new diet trends and bounce around from one diet fad to the next. With each one, you feel good at first, but either the diet was too complicated or strict and you couldn’t keep up with it. Or it just wasn’t for you. You start to feel worse than you did before you started. So you start looking for the next best thing. Just like big hair in the 80’s, fads aren’t meant to stick around. You don’t want to be on a trendy fad diet. You want to live a clean, healthy and uncomplicated lifestyle. I have learned from my mistakes, pulled myself out of the trenches and can help you too. That is what a Health Coach does. “Health and Wellness Coaches work with individuals and shift them from being passive recipients of expensive health care interventions to adopting a responsible, self- directed, proactive stance that facilitates lasting positive change. “I am very optimistic about the future of medicine in America. 70% of the aging process is driven by lifestyle changes. You don’t have enough time for yourself. So many of us put so much into everyone else’s lives that we shortchange ourselves. A health coach will help you learn to make you a priority. You are maxed out and stressed out. Health coaches can help you to find ways to alleviate and prevent stress, help you make healthier choices and improve your relationships. Decreasing stress often leads to weight loss (or weight gain if that is what your body needs). You want to make some changes but have a hard time sticking with it. A health coach can be the difference between quitting and achieving your goals. Your family needs to make some nutrition changes, and you’d like to learn some healthy, delicious and easy new recipes. Making healthier meals can help your kids have more energy, get better sleep, get better grades and improve their behaviors. Health coaches can help you start to slowly incorporate healthier foods choices and provide you with recipes that are nutritious and tasty. Your kitchen is set up with a deep fryer, griddle pan, waffle maker, ice cream maker, and microwave oven and you want to reassess your needs for a well-equipped kitchen. A kitchen makeover and grocery store tour can go a long way to get you and your family on the road to eating nutritious meals. You have food allergies, gut issues, pre-diabetes, heart problems, and/or high cholesterol. Your health coach is trained to educate and support your medical regime and hold you accountable. 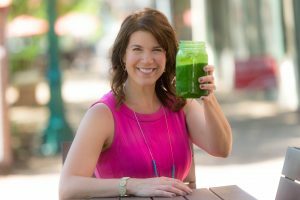 I believe in the power of health coaching and want you to live a fuller, happier, more vibrant life. I want you to have all your dreams back. 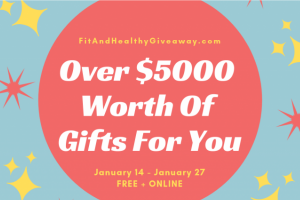 To get a free taste of what some amazing health coaches are offering, enter the Fit and Healthy Giveaway. It is free. You can sign up for as many health coaching gifts as you’d like. I hope you’ll choose my gift, a guided 12 Day All Natural Detox, a $297 value. You can learn more about the 12 Day Detox here, but don’t buy it here, get it for free in the giveaway! I believe 2019 is going to be a year of great change. And it all starts with you getting your health and your dreams back. I work with Health Coaches at my job. They are so helpful to our clients. They help them set attainable goals! It is great field. Thank you for the post. I’m curious what type of work you do. Would you mind sharing a little bit about your job? Great article for the start of the year where we are all trying to be a bit healthier! I am incorporating new recipes into my meals as I always fall back on richer, creamier foods. Hi Renate. Finding and testing new recipes is always so fun! Except sometimes it’s not- like when you spend hours in the kitchen working on a healthy meal and your family completely revolts 😩 Been there! During the cold winter months, our bodies crave richer, creamier foods. Try not to fight it- we evolved this way. Just try to find healthier versions of rich and creamy foods 🙂 When we find delicious, healthy substitutions for our favorite comfort foods, eating healthy becomes a habit and a lifestyle- not a short term diet. I totally agree, we do take life for granted until a tragedy strikes. I’m sure health coaches have a great impact on a healthier, stress-free lifestyle. Sounds like something I would need, thank you for enlightening me on the subject. Hi Lorraine, thank you for checking out the post. I think everyone needs support to balance stress and live a healthier lifestyle. We live in such a busy and chaotic environment, any steps we make to eat healthier, move more and feel less stressed will have a huge impact on our lives.